Home > Who were U.S Presidents during the Vietnam War? Following the French defeat in the First Indochina War and subsequently the Geneva Accords leading to a partition of Vietnam, President Eisenhower decided to support anti-communist leader Ngo Dinh Diem in consolidating power in the South. In September 1954, he created the Southeast Asia Treaty Organization (SEATO) in an attempt to block communist spread to Southeast Asia. SEATO essentially put Vietnam under its protection, which later became one of the major justifications for the U.S. intervention in Vietnam during the Vietnam War. In February 1955, President Eisenhower sent the first American military advisors to Vietnam to help build up Diem’s army. When Diem announced the formation of Republic of Vietnam (later known as South Vietnam) in October 1955, Eisenhower immediately recognized and offered military and economic assistance to the new nation. In fact, the MAAG Vietnam was reorganized from MAAG Indochina in November 1955 to train South Vietnamese Army. In July 1956, Diem under the U.S. support refused to participate in the unifying elections. The Eisenhower administration believed that the communists could have won the elections thanks to the popularity of their leader Ho Chi Minh, which was an unacceptable outcome for the U.S.
Eisenhower pledged his continued support for Diem during Diem’s 10-day visit to the U.S. in May 1957 and remained committed to Diem’s government throughout his second term as president. 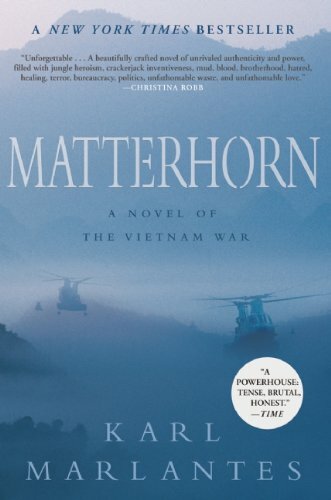 As a matter of fact, he increased the number of U.S. military advisors in South Vietnam to around 900 men by 1960 owing to North Vietnam’s growing support of “uprisings” in the south. John F. Kennedy was an ardent believer in containing communism and “Domino Theory”. In his first speech as President in January 1961, Kennedy made it clear that he would continue the policy of the former President, Dwight Eisenhower, and support the government of Diem in South Vietnam. Kennedy also pledged more aid and military advisors to help train South Vietnamese Army. As a matter of fact, the U.S. provided $65 million in military equipment and $136 million in economic aid to Diem’s government by 1961. During Kennedy’s presidency, the Strategic Hamlet Program introduced by Diem and supported by the U.S. failed terribly, and as a result, drove a large number of South Vietnamese peasants into supporting the Viet Cong. In fact, the number of Viet Cong increased tremendously by 300% to 17,000 in just two years when the “Strategic Hamlet” was in operation. In response, Kennedy significantly increased U.S. military advisors in South Vietnam to 16,000 by 1963 compared to just 3,200 in 1961. Kennedy’s presidency also saw Diem’s repression of Buddhists after their public protests throughout South Vietnam owing to his religious favoritism and discrimination. As corruption, Buddhist crisis, and mounting successes by the Viet Cong weakened Diem’s regime and threatened the stability of South Vietnam, Kennedy became convinced that Diem could never unite South Vietnam to fight against the Viet Cong. On November 1, 1963, Kennedy tacitly approved a coup to overthrow Diem just three weeks before his assassination. After assuming the presidency, Johnson was keen to continue supporting South Vietnam to fight against the Viet Cong. In the beginning, Johnson hesitated to commit U.S. troops to Vietnam as he was aware that U.S. military intervention might have an adverse impact on his chance of winning the 1964 election. In fact, during his campaign for President in 1964, he pledged not to send “American boys” to Vietnam and that South Vietnamese Army had to fight to protect its country. But then came the the Gulf of Tonkin incident. In response, Congress passed the Gulf of Tonkin Resolution on August 7, 1964 authorizing President Johnson to take any necessary measures against North Vietnam. Soon after Johnson won the 1964 presidential election by a landslide, he ordered a sustained bombing of North Vietnam called “Operation Rolling Thunder”, which lasted for more than 3 years (March 2, 1965 – November 1, 1968). He then sent the first combat troops to South Vietnam in March 1965 in response to a Viet Cong’s attack on U.S. air base in Pleiku. By the end of his second term as president, his approval rates plunged to an all-time low as the end of the Vietnam War was nowhere in sight after the Viet Cong’s Tet Offensive. On March 31, 1968, at the height of the Vietnam War, Johnson announced he would not seek reelection. In May 1968, Johnson announced formal peace talks would soon begin in Paris. The talks stalled during the last eight months of Johnson’s presidency, and the deadlock continued during the early years of Nixon’s administration. Richard Nixon took office in 1969 with the promise of bringing “peace with honor” to the unpopular conflict in Vietnam. His “secret plan” to end the Vietnam War included gradual withdrawals of the U.S. troops from Vietnam as part of the so-called “Vietnamization” program from June 1969. He also replaced the military draft with a lottery in December of that year. However, Nixon, at the same time, secretly escalated the war into Cambodia and Laos in 1970 and 1971 respectively in an attempt to destroy North Vietnamese supply through the Ho Chi Minh Trail to South Vietnam. Fallout from these incursions caused massive protests, which even escalated to violence at Kent State University on May 4, 1970. At the end of his first term as president, Nixon made a historic visit to China in February followed by a strategic Anti-Ballistic Missile Treaty with the Soviets in May 1972. These diplomatic breakthroughs with China and Soviet Union put pressure on North Vietnam to negotiate seriously and secured Nixon’s landslide victory in his re-election. Nixon ordered the “Christmas Bombing” later that year to keep North Vietnam at the negotiating table as well as to convince South Vietnam to sign a peace treaty, which had been negotiated for a few years. The Paris Peace Accords were eventually signed in January 1973 ending the American direct involvement in Vietnam. On March 29, 1973, the last U.S. combat troops left Vietnam although some military advisors and Marines remained in Saigon until its fall in April 1975. Nixon also ended military draft in his final year in office. Nixon became the first U.S. President ever to resign after the Watergate scandal in 1974. Congress cut military aid to South Vietnam significantly during Ford’s presidency. In fact, it placed a $1 billion ceiling on military aid for fiscal year 1974 on August 4, which was trimmed further to $700 million by August 11, 1974. This was a huge cut in military aid as South Vietnam still received $2.8 billion in fiscal year 1973. In 1975, it would be dropped substantially to just $300 million. Although it had been promised by the Nixon administration, Congress also forbade further U.S. involvement in Vietnam, Laos and Cambodia even when North Vietnamese forces blatantly violated the settlement in early 1975. In April 1975, as South Vietnam was about to fall, President Ford made a last-ditch appeal to Congress asking for $722 million in military aid to essentially save the crumbling regime. However, in a face-to-face discussion between President Ford and Senate Foreign Relations Committee on April 14, 1975, the President’s request for aid was rejected. “I will give you large sums for evacuation, but not one nickel for military aid to Thieu.” – New York Senator Jacob Javits told President Ford during the meeting. On April 23, 1975, Ford declared the Vietnam War ended “as far as America is concerned”. Seven days later, Saigon was captured and South Vietnam fell to the communists. Who Started The Vietnam War? What is a Proxy War? 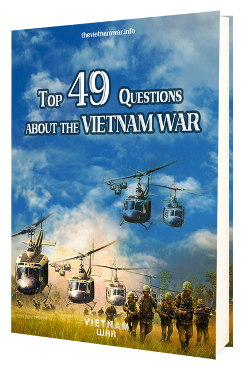 Previous Post: When did the vietnam war end? Next Post: Why did the Vietnam War start?